IBM Company has released notification for recruitment of various Technical Support Associate posts. Interested and eligible candidate may be apply for these posts through Online before 27/December/2014. If you want any more information about these posts you can go to official website and view recruitment notification. Mandatory Skills : Understanding of Operating Systems, Browser Support – Internet Explorer, Strong computer skills, Excellent oral and written communication skills, Excellent Customer Service Orientation, and Neutral accent. How To Apply : Interested and eligible candidate may be apply for these posts through Online of official website(http://www.ibm.com/in/en/) before last date. 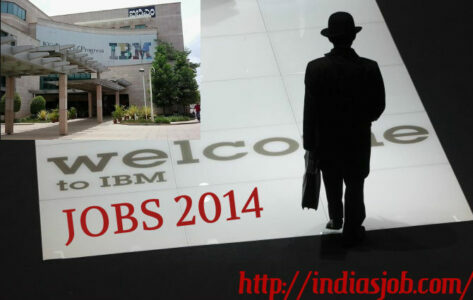 You Can asking any IBM employee for referral for Job ID:GOM (GTS-0682637).